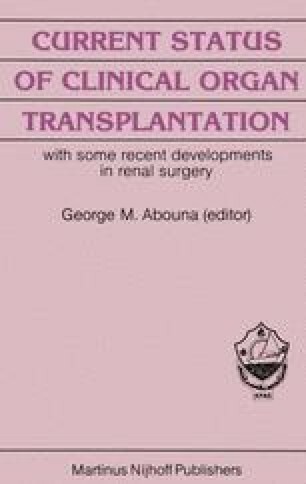 The first serious attempts at experimental cardiac transplantation were carried out by Alexis Carrel, at the University of Chicago, shortly after the turn of the century (1). He achieved the beating of transplanted puppy hearts in the necks of adult mongrel dogs for a number of hours. Though these hearts did not support the circulation, this was a remarkable achievement at the time considering the lack of heparin and the very crude nature of the surgical techniques and materials used.